Established in September 2005, B.H.B.S is an independent plumbing and heating merchant serving Surrey, Hants and Sussex. 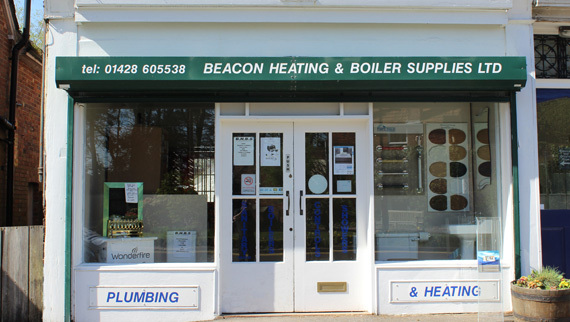 We offer our customers an unrivalled combination of personal service and competitive prices with a wide stock profile including boilers, radiators, towel rails, pumps, controls, cylinders, copper tube, fittings, plastic plumbing, bathrooms and showers. Our shop is open Monday to Friday from 7.00am until 5pm and Saturday mornings from 7.00am until 12 noon. We keep in stock a wide range of boiler parts including boiler spares for older boiler models. We regularly introduce new boiler parts to stock on a regular basis too. We are very competitive, highly efficient and our service is unparalleled in the local area. Call us to see just how good our personal service is. When you are buying boiler parts it is important that you purchase genuine makers boiler parts which come with a full warranty, which will fit your boiler exactly and give years of trouble free and safe service.